All images are at 300dpi, so you can enlarge them and they will still be crisp. All images are in PNG format. All designs and images are creative property of Sandra Trad and should not be redistributed unless incorporated and secured in a new original design/product. 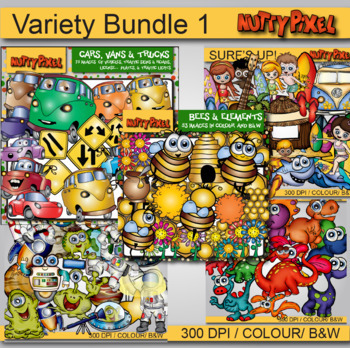 Nutty Pixel material cannot be used to create new clipart. Images cannot be resold or used to promote other clipart artists or clipart products.